Savannah College of Art and Design (SCAD Hong Kong) has appointed Sinclair Communications as agency partner to develop and lead an Integrated Public Relations programme in Asia. Sinclair Communications’ mandate is to drive awareness of SCAD’S academic excellence, creative degrees and art and design activities by connecting the school with prospective students and creative circles in the region. SCAD is internationally renowned as the university for creative careers. Graduates of SCAD are on the path to becoming leading professionals in art and design. Offering more degree programs and specializations than any other art and design university, SCAD is uniquely qualified to prepare talented students for professional, creative careers. SCAD is a private, nonprofit, accredited institution conferring bachelor’s and master’s degrees at distinctive locations and online to prepare talented students for professional careers. SCAD offers more than 100 academic degree programs in 42 subjects across its locations in Savannah and Atlanta, Georgia; in Hong Kong; in Lacoste, France; and online through SCAD eLearning. SCAD Hong Kong opened in 2010 at the former North Kowloon Magistracy in Sham Shui Po. It is acknowledged as a leading university for creatives in the region. In Hong Kong, where creative opportunities abound, students are encouraged and supported to expand their skills through partnership projects with the local creative community. 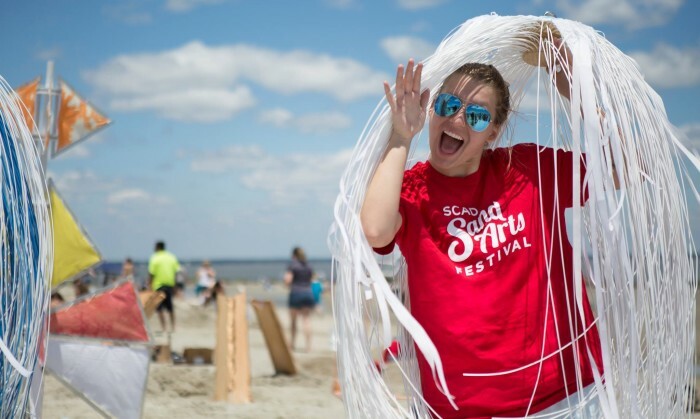 Students who begin at any SCAD location may choose to enrich their educational experience and enhance their career preparation by attending other SCAD locations during their course of study. “With the creative industries playing an increasingly important role in Hong Kong’s economy, and identified as a strong driving force for the territory’s future development, graduates from SCAD are readying themselves for a very bright future. Sharing this message with the parents of creatively minded students in Asia is critical to changing the mind-set towards study in these fields,” Kiri said. Members that have come on board at the time of launch include Allison + Partners PR, MEC Wavemaker, Publicis Content, Bloomberg Me.. Collectively, in Scandinavia WPP companies (including associates) generate revenues of almost US$500 million and employ over 2,500..
"Integrating lifestyle and fun helps us connect with our students on a personal level and allows us to engage with them beyond the..